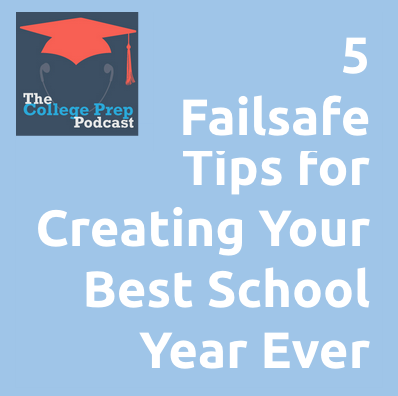 To help listeners start the 2014-2015 school year off with a bang, Gretchen reveals five strategies for how students and parents can set themselves up to have their Best School Year Ever. 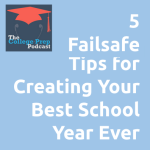 Overcome procrastination and disorganization so students can take charge of their own success during the school year. Train your brain so that you can learn anything you are taught, no matter how good (or bad) you think your teacher is. Take creative, powerful notes that make the key points stick every time. Make studying so interesting and fun that you are 110% ready for every test. Specific recommendations Gretchen makes include watching videos on YouTube about how the brain learns (this is a great one to get started with), and checking out an online role playing game called HabitRPG. For a free download of a unique planner page that Gretchen has designed for middle and high school students, sign up for her “Stress-Free School Year Toolkit” at her website.